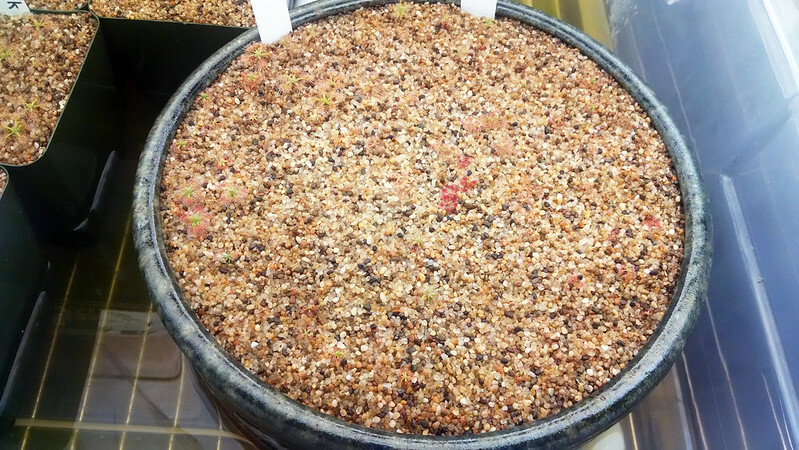 Progress shots from the Pygmy Garden |Sundews Etc. Things are really starting to get going over in the Pygmy Garden. The Pygmy Garden is starting to actually look like a garden now. You can start seeing distinct patches developing. I'm really looking forward to seeing this a few months down the road once everything has filled in. Let's get in close! 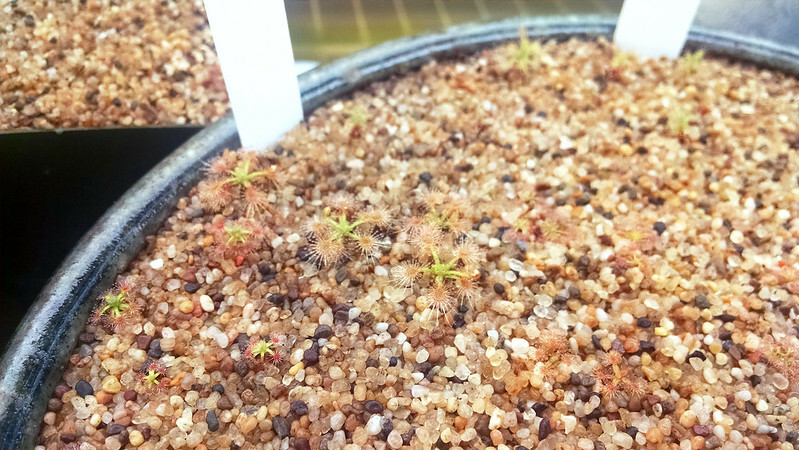 Drosera omissa (center) surrounded by other species. 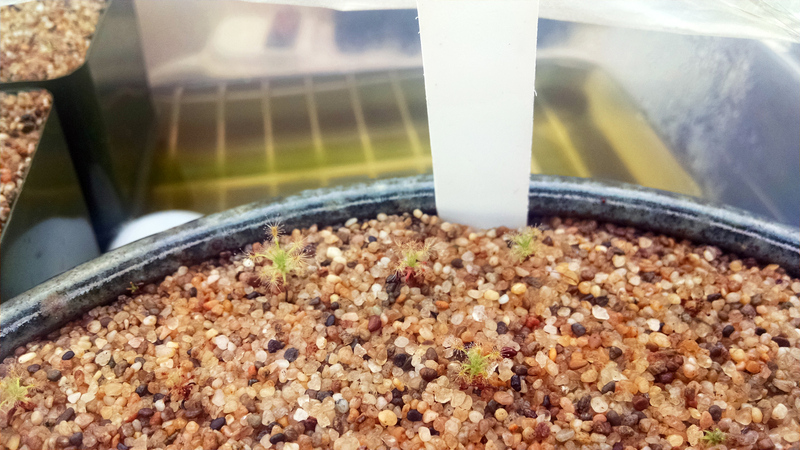 Drosera silvicola getting that stem going. 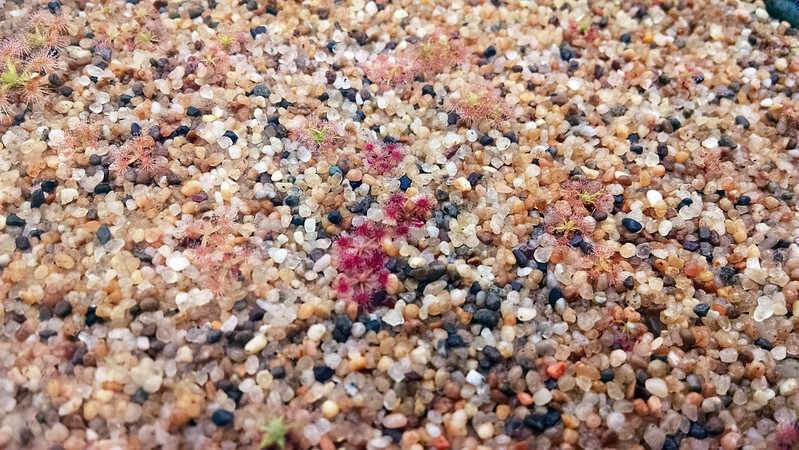 Deep red Drosera x Carbarup. 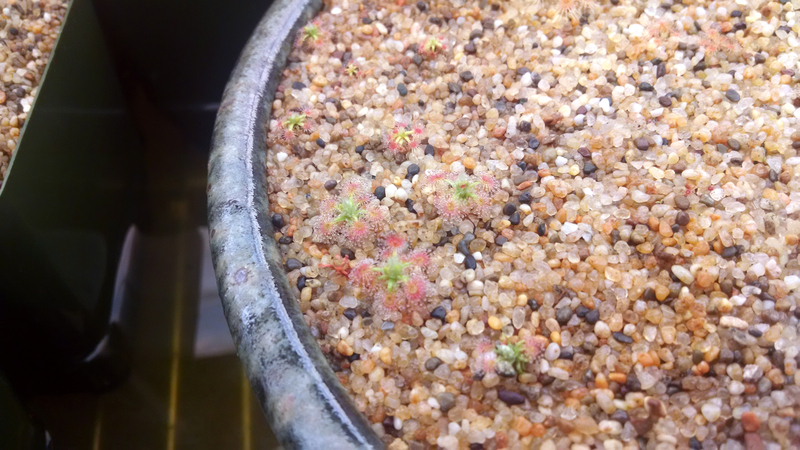 The prettiest one in the bunch so far, Drosera x Dork's Pink. 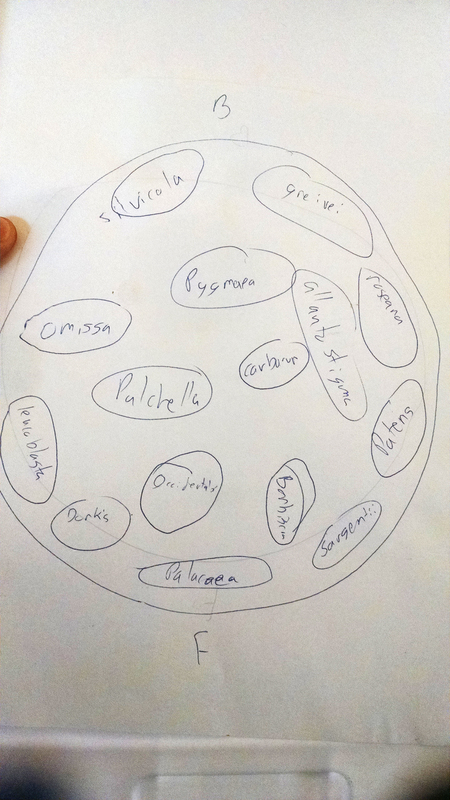 I'm definitely glad I drew up this map when I was first creating the garden. It's a bit rough, but it was enough for me to figure out which was which. There are so many pygmies in this garden! I can't even imagine how cute it's going to be when some of them start blooming. 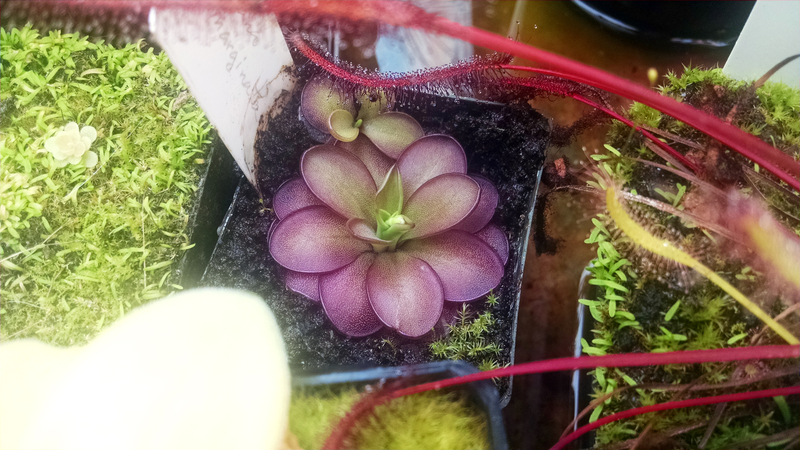 Speaking of blooms, I've got a little something developing on my Pinguicula laueana x emarginata. My first-ever bloom on a ping other than Pinguicula gigantea. I was just thinking earlier about how I want to pot this up into something bigger. Now I guess I'll wait at least until it's done flowering. I'm excited!